Hulk smashes puny humans - But not your gelatin! 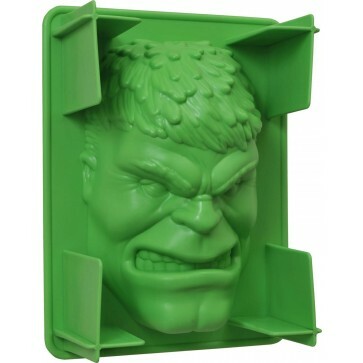 This plastic gelatin mold comes in the shape of Ol' Jade Jaws himself! Measuring 8-inches tall, you can use this mold to make any color gelatin you want - But Hulk likes green the best! Comes packaged in a full-color window box.